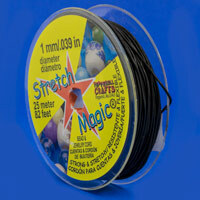 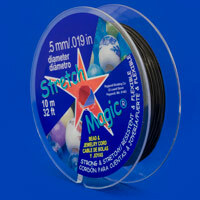 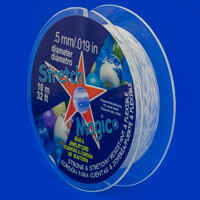 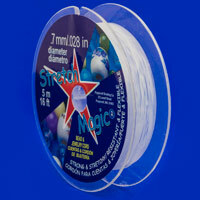 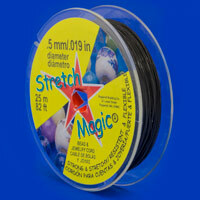 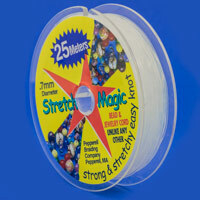 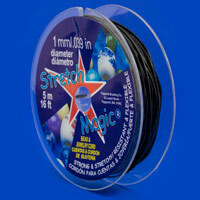 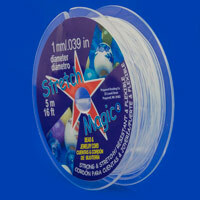 Stretch Magic is a clear, mono-filament cord which can be stretched, and returns to it's original length. 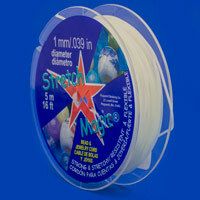 This is an excellent Cord for making Bracelets. 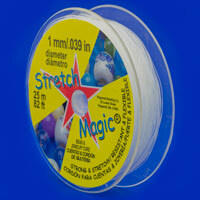 Since it stretches, no Clasp is required, as it easily slips over the hand and onto the wrist. 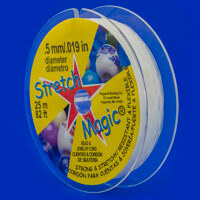 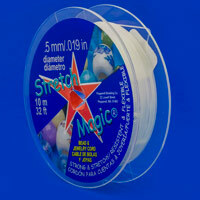 Stretch Magic is extremely popular for use with Swarovski Crystals and Czech Glass Crystals.